My dear friend Doug and I used to be coworkers. We have known each other for over ten years and used to work with someone else who would get excited when the cafeteria served Shanghai Bowls for lunch, which was basically noodles and vegetables and an unidentifiable brown, vaguely Asian, sauce over top. 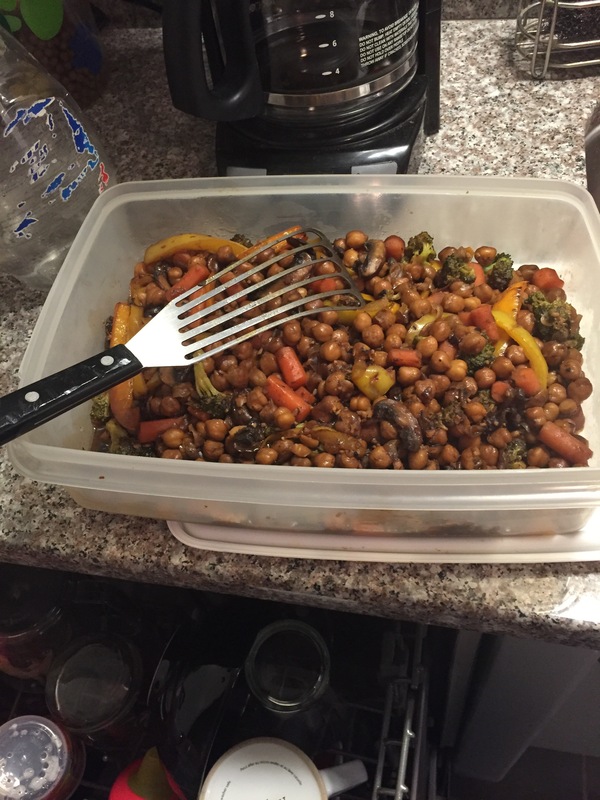 This recipe is adapted from here, which is good but didn’t quite do it for me. 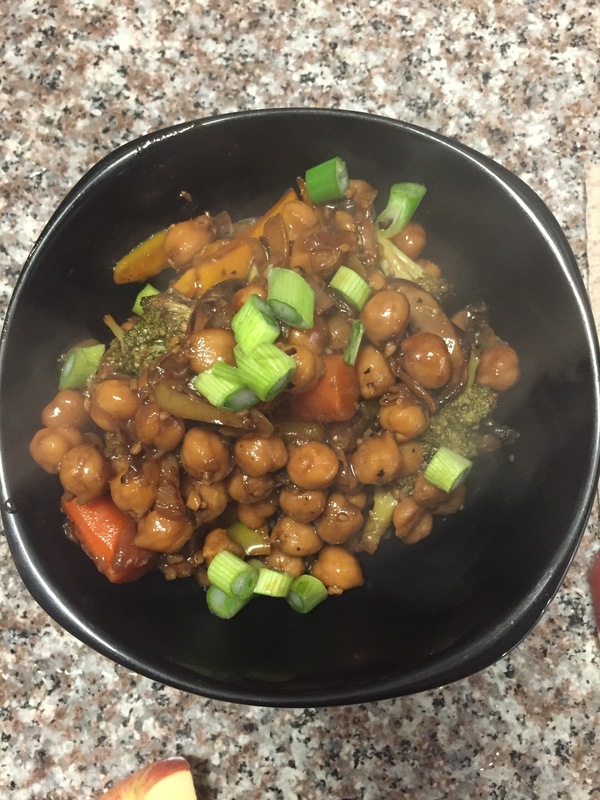 I wanted to make it a little healthier and a little more spicy. Here is my take. We’ll call it a Shanghai Bowl as a tribute to Ron, wherever he may be. First things first. Cut up your veggies. If you want small pieces then go ahead. I’m lazy so I made them bigger. 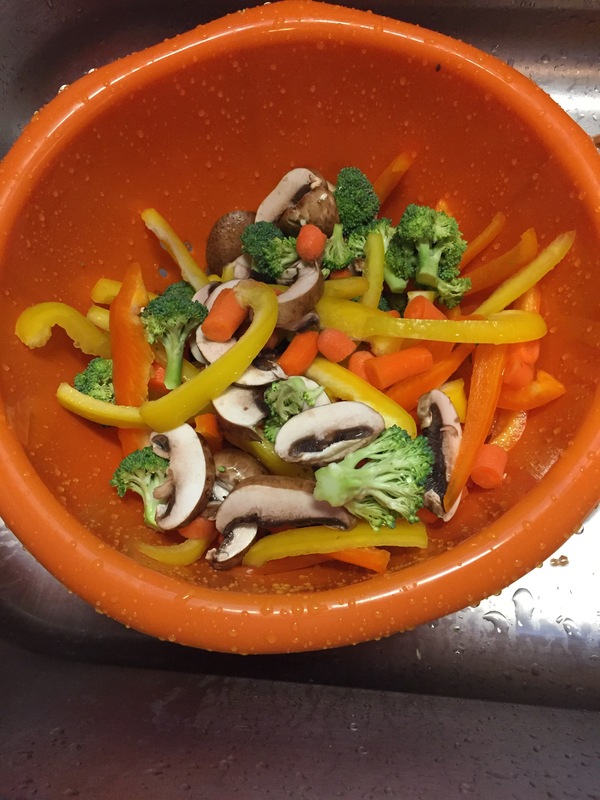 I used two bell peppers, a container of portabellas, two small broccoli crowns, and the end of a bag of regular carrots plus some more baby carrots. If you’re adding carrots, take the time to cut them smaller because they will take longer to cook. Rise and set aside. Open up your beans. Rinse and drain. For real, rinse. 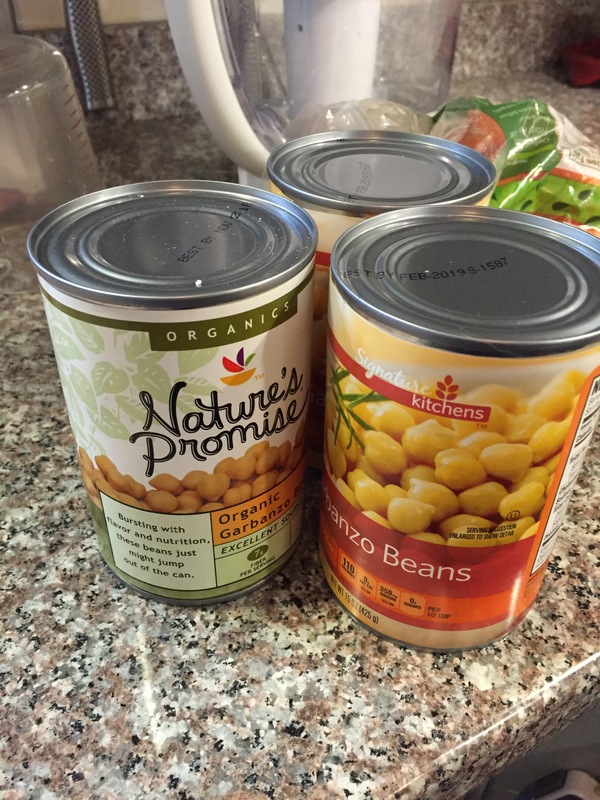 Canned beans have a ton of salt. Here I am, rinsing away. Here is the second hardest part. 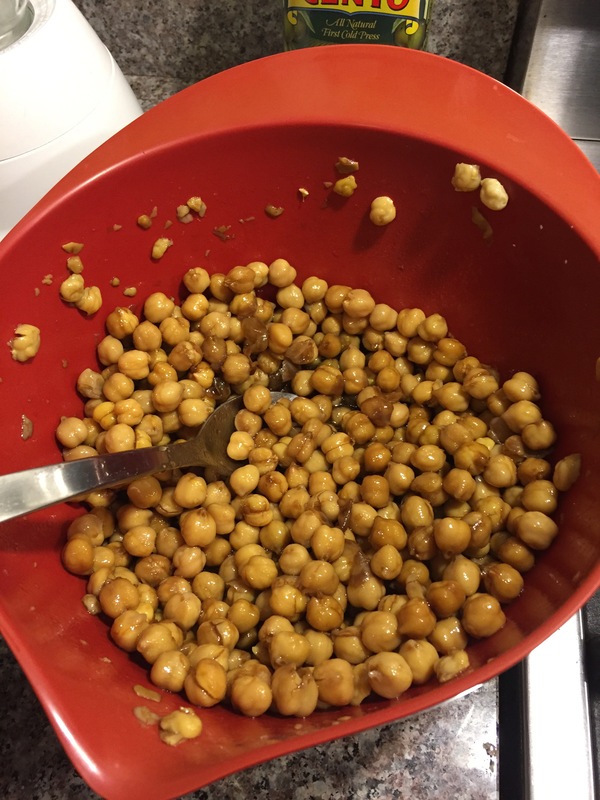 Take your chickpeas and add the soy sauce, a few dashes of chili oil if you like spice, the rice wine vinegar, a few swirls of sesame oil, and the cornstarch. 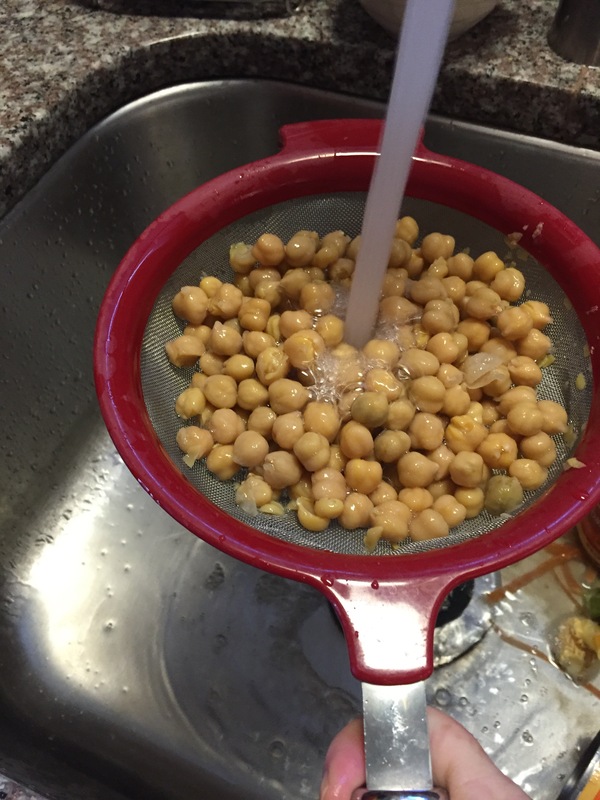 The cornstarch makes the marinate thicker. If you don’t have it don’t sweat it. 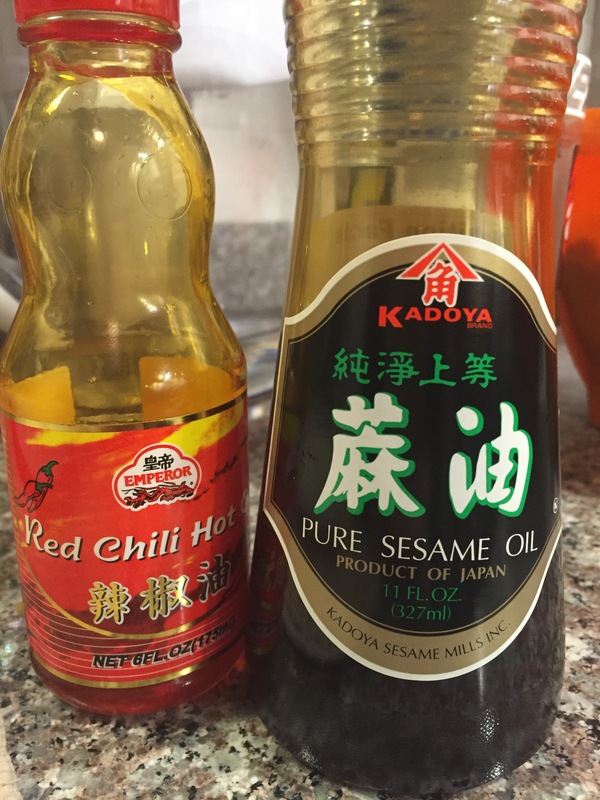 Here is the sesame oil and red chili oil I use. 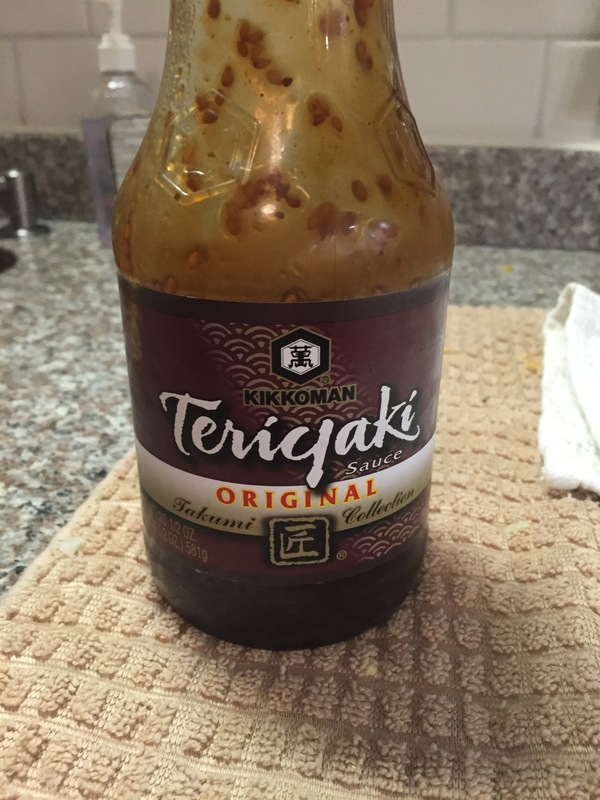 They’re great and you can usually find the sesame oil at any grocery store and the red chili oil at an Asian grocery. Let this sit for at least an hour (AKA go watch an episode or two of House of Cards). Here is the hard part. 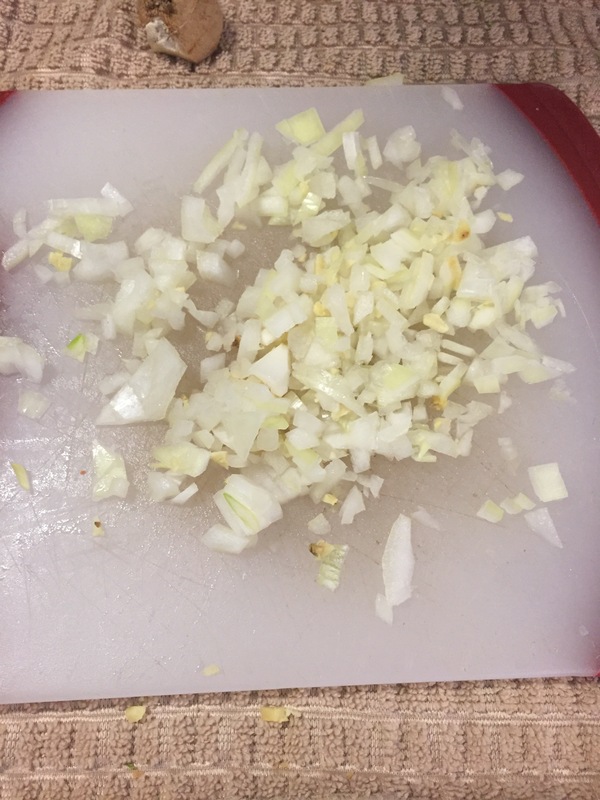 Mince your onion and ginger. I hate mincing. Terrible at it. 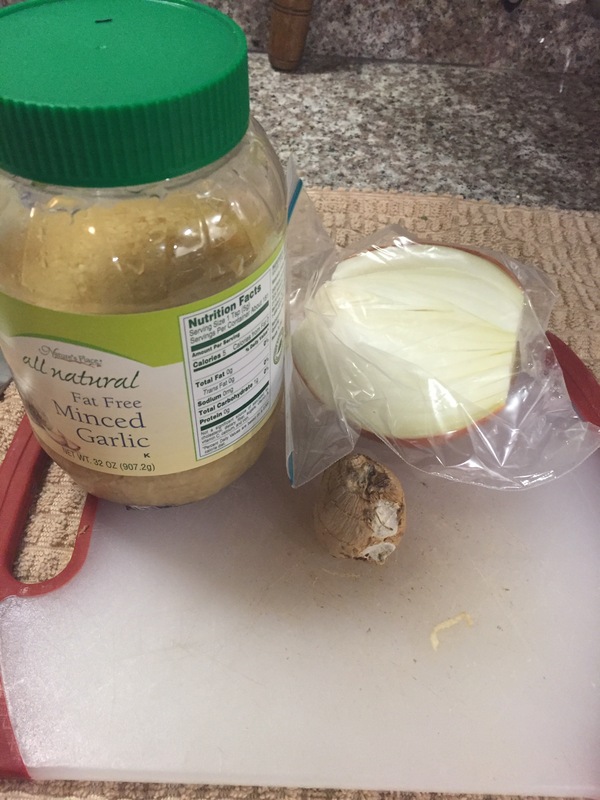 This is my best effort and I cheat with the garlic. PS- I hate ginger but I do use it in here. I just use a little to add some flavor but THATS IT, go home ginger. 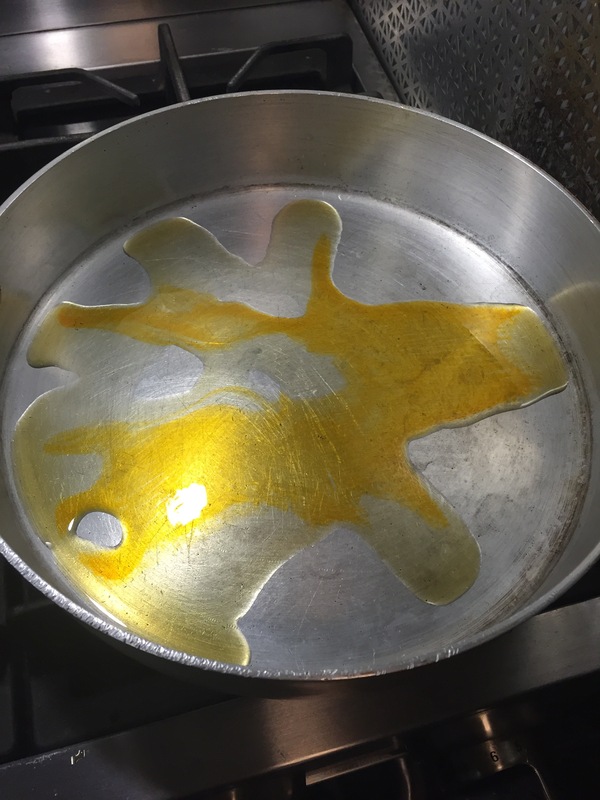 Get a big pan and turn it on high. Add a few swirls of sesame oil and more red chili oil if you’ve used it above. Or, don’t if you’re not sure you want to double down. Some of them are really hot. Side note. If you don’t have one of these, get one. 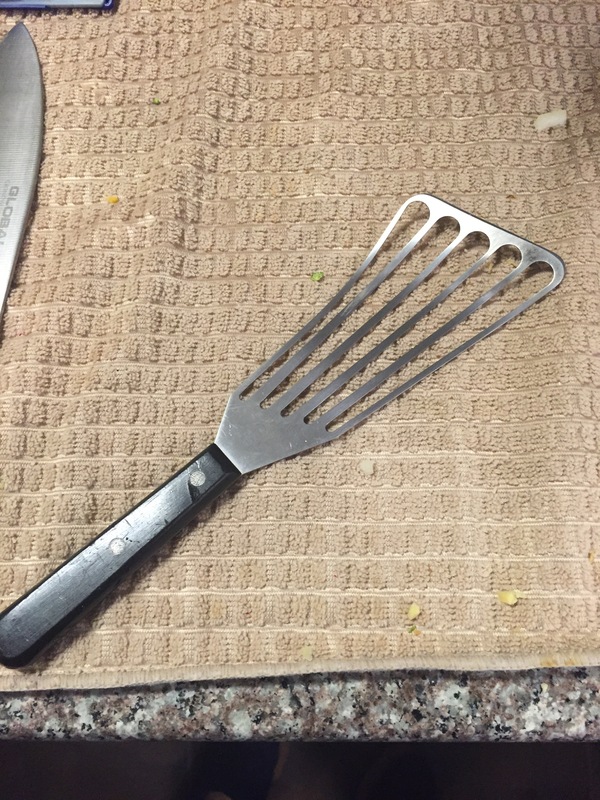 I believe it’s for flipping fish but it’s the best overall kitchen tool in my opinion. A rubber spatula gives me the skeeves to use on a very hot metal pan, and I don’t use nonstick. You can really get in there and drive it home with this guy. 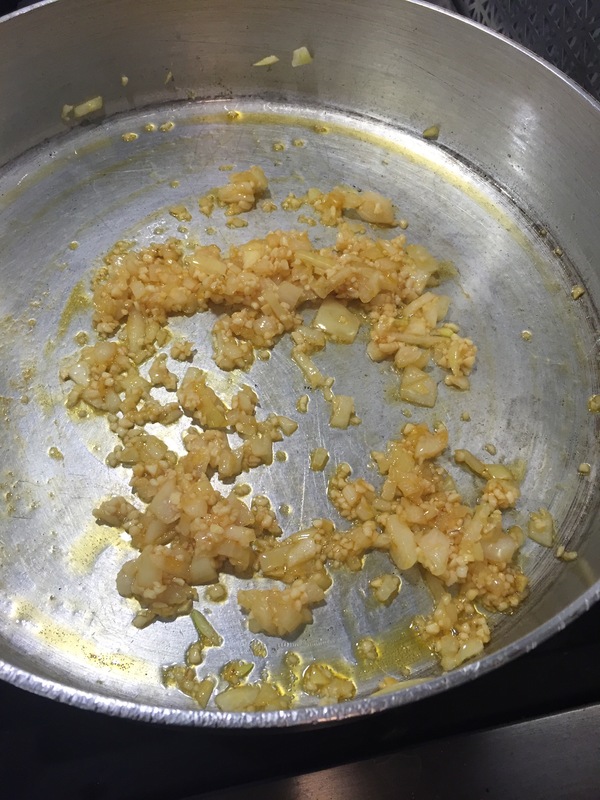 After your own and oil is nice and hot, add in your minced stuff. Then turn your heat down to medium. Let it cook, kee it moving, for about 5 minutes. 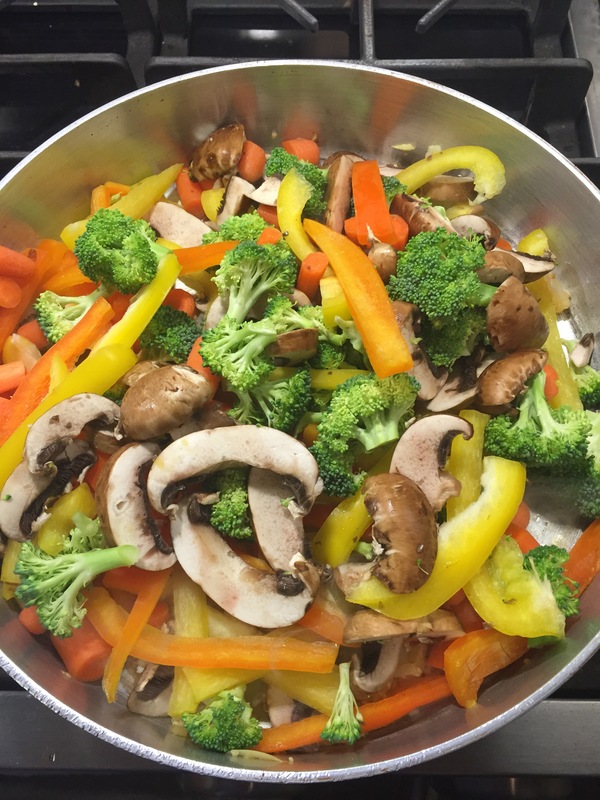 Then add in your veggies. So pretty! Turn your heat back up to high but scrape all of your mincey bits off first and scoop them on the top so they don’t burn. I do not add any liquid and let my veggies cook for about 10-15 min. Keep scraping the bottom. If you aren’t able to deglaze with your fish tool then add some chicken stock or water and keep cooking. Remember those chickpeas that were hanging while you watched Frank and Claire? Time to put them in- just dump the whole bowl, sauce and all. I turn my heat to medium now. The sauce will start to bubble. At this point, mine looked a little dry. Insert generic brown sauce. I used problem a quarter to a third of a cup of this. Since this makes so many servings, I’m ok with a little added jarred stuff. Turn out into your finest serving dish. 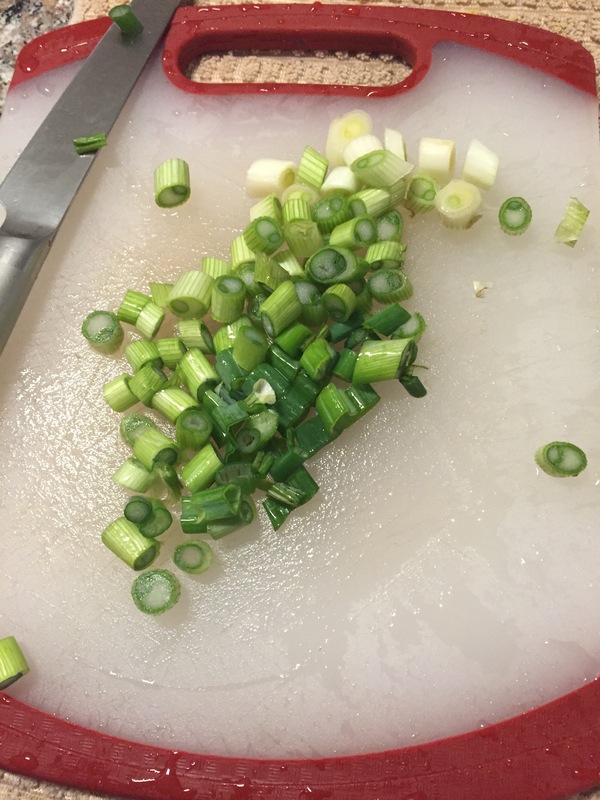 Rise and chop some scallions to make this dish look ready for its closeup.